Reuters: A series of quakes including a powerful 6.9 magnitude tremor struck the Indonesian holiday island of Lombok on Sunday, the U.S. Geological Survey said, killing one person and causing others to rush out of buildings in panic. Lombok, just east of Bali, the southeast Asian country's most famous tourist destination, has been rocked by a series of quakes and aftershocks since July 29, including a 6.9-magnitude tremor on Aug. 5. 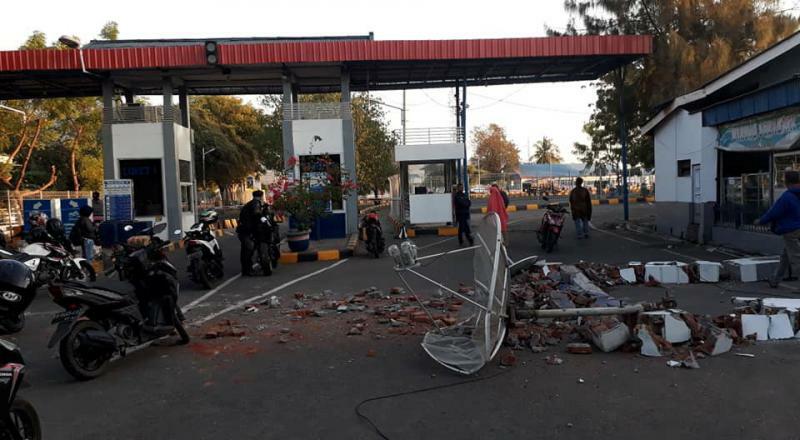 Lombok suffered damage running to more than 5 trillion rupiah ($342 million) from the Aug. 5 earthquake, authorities said last week, putting the death toll at more than 430.